February is upon us, Valentine’s Day is around the corner and love is in the air. Another season of romance is descending on our beloved Guangzhou – a town that is no stranger to tales of sweet amour. What follows is a super sad true love story, set right here in old Canton. The year was 1924. 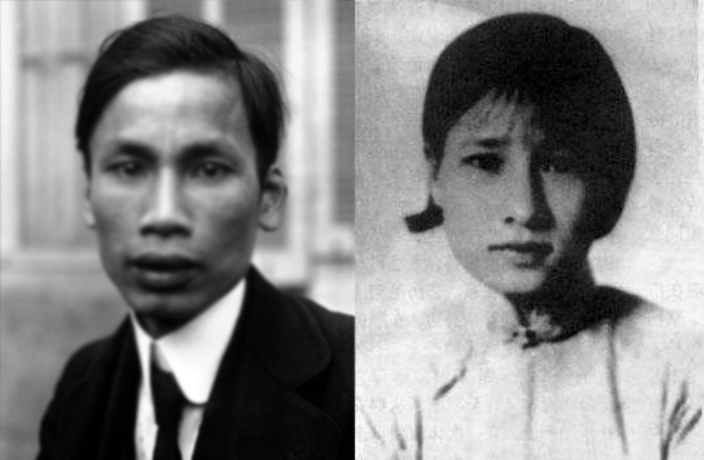 His name was Ho Chi Minh and he had just stepped off the slow boat from Vladivostok. This communist Casanova had traveled the world working as a kitchen helper on ships, honing his socialist politics, and was in town on official Comintern business. Ho would live nearly three years in our fair city, organizing for the liberation of his homeland from the French and lecturing revolutionary Vietnamese expats at the Whampoa Military Academy. It was inevitable, in such heady times, that love would soon blossom. Her name was Zeng Xueming: a Guangzhou native with Hakka roots. Zeng was working as a midwife when she met the dapper rebel and the two took to one another. Ho’s comrades initially objected to the match but the love-struck lecturer insisted: “I will get married despite your disapproval because I need a woman to teach me the language and keep house,” he is quoted by biographers as saying. In 1926, the pair had the honor of tying the knot at Taiping Koon, the same historic Beijing Lu restaurant where Zhou Enlai wed his wifey the previous year. Even today, Guangzhouers can enjoy saucy beefsteaks in its hallowed halls. Like all fairy tales however, this one could not last forever. A cruel wind was blowing down from Shanghai and in the midst of the murderous anti-Communist purges that followed Chiang Kai-shek’s notorious massacre on April 12, 1927, Ho was forced to skip town to Hong Kong, leaving hours before KMT police beat down his door. Separated by the gulfs of borders and politics, the two lovers yearned and pined to no avail. Letters would be sent back and forth, only to be intercepted. Rendezvous would be planned, then foiled. Eventually, contact between the two was severed. When Zeng saw her husband’s face in the newspaper in 1950 and learned he had become president of the Democratic Republic of Vietnam, it was too late. By this time, a cult of personality had grown around Ho that centered his supposed celibacy as testament to his single-minded commitment to the cause. Zeng’s repeated entreaties to the Vietnamese embassy in Beijing went unanswered. Ho’s attempts to establish contact through the Guangzhou consulate were refused. Their marriage had become an inconvenient truth. Zeng, for her part, remained committed to the cause, staying active in the All-China Women’s Federation and continuing to work in obstetrics. She lived out her days in Guangzhou as a midwife, retiring in her seventies and finally dying in 1991, at the age of 86. Do you live in Guangzhou and want to taste a piece of history? See our listing for Taiping Koon Western Restaurant. Click here for more history stories. The world's worst maritime disaster unrelated to military action happened at the mouth of the Huangpu. In late 1982, Andy Warhol and a small entourage were invited on a VIP trip to Beijing, the Forbidden City and Great Wall.